On every successful team, the members know their roles and fulfill them to the best of their abilities. For George Arvanitis, that role is Can-Do. Do you need someone who is an expert in construction? George was raised in a family comprised of custom home builders, so he knows the whole process from permit to finish. His background in engineering also comes into play when a buyer is concerned about potential needed renovations, or wants to flip a property for its maximum resale value. Do you need a broker who is detail oriented? 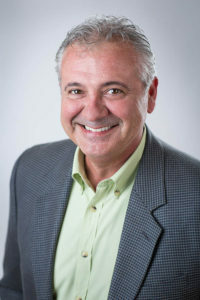 George brings his expertise to bear when it comes to the many details of research involved in finding a home or getting it ready to sell, as well as the myriad steps involved in a real estate transaction. You can rely on George for the skills and knowledge required for this complex real estate market. For his team, George contributes technical support in building processes and systems which allow them all to keep a step ahead of the often rapidly changing market. Do statistics, facts and figures speak to you? George knows the power of keeping track of what kind of inventory is moving, how home pricing trends are moving in the community, and how to maximize the selling power of a home, as well as how to determine the best price for a house you want to buy. Or perhaps you are searching for a network manager – someone who has built a lot of relationships among not only real estate agents, but also among construction contractors and inspectors. George has that depth of links in the community outside of the real estate office. George brings all of these crucial skills and knowledge to the table for his brokerage team. Contact George Arvanitis and put him on YOUR team.